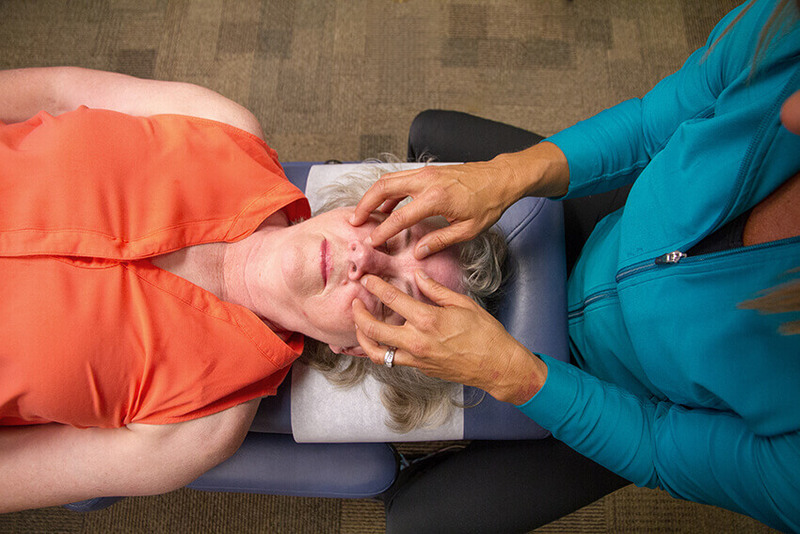 Gentle and non-invasive, Craniosacral Therapy is a hands on technique used to relieve tension throughout the body. 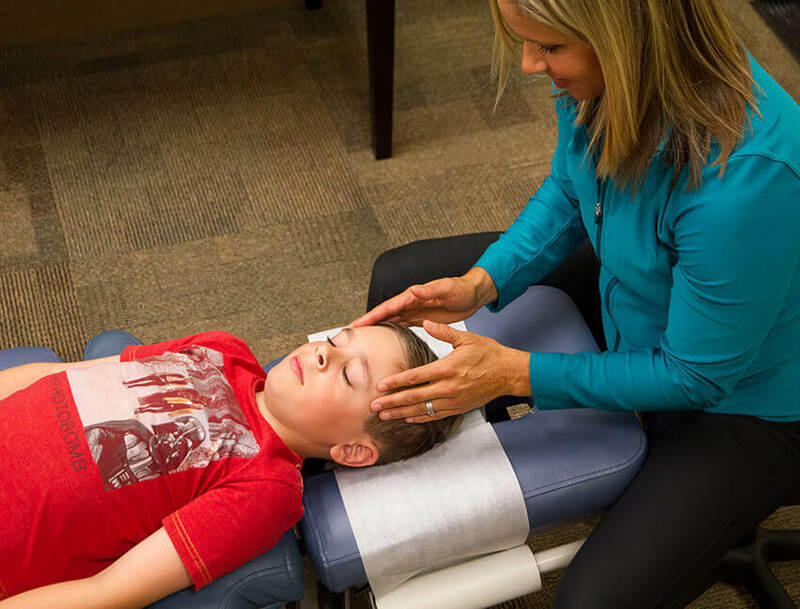 Craniosacral Therapy targets the craniosacral system (which is made up of the brain, spinal cord, sacrum, cerebrospinal fluid, and their incorporated membranes). Through the use of extremely soft touch, (no more than 5 grams, or the weight of a nickel) tensions are released throughout the body. By alleviating stress placed on the nervous system, Craniosacral Therapy assists in the body’s innate healing qualities. This makes Craniosacral Therapy an effective treatment as well as a preventative measure. Craniosacral Therapy is especially effective for infants born naturally and via Cesarean Section. Due to the abrupt change in pressure within a mother’s abdomen, there is also an abrupt change in pressure in the baby’s head. This trauma can disrupt the craniosacral rhythm and interfere in the cranial nerve function. Additionally, as cesarean born babies don’t travel through the birth canal, they aren’t able to benefit from the healthy bacteria that provides them with immunity to many common illnesses. Cesarean babies also tend to have increased rates of ear infections, respiratory distress, more abnormal neurological exams, and lower APGAR scores. 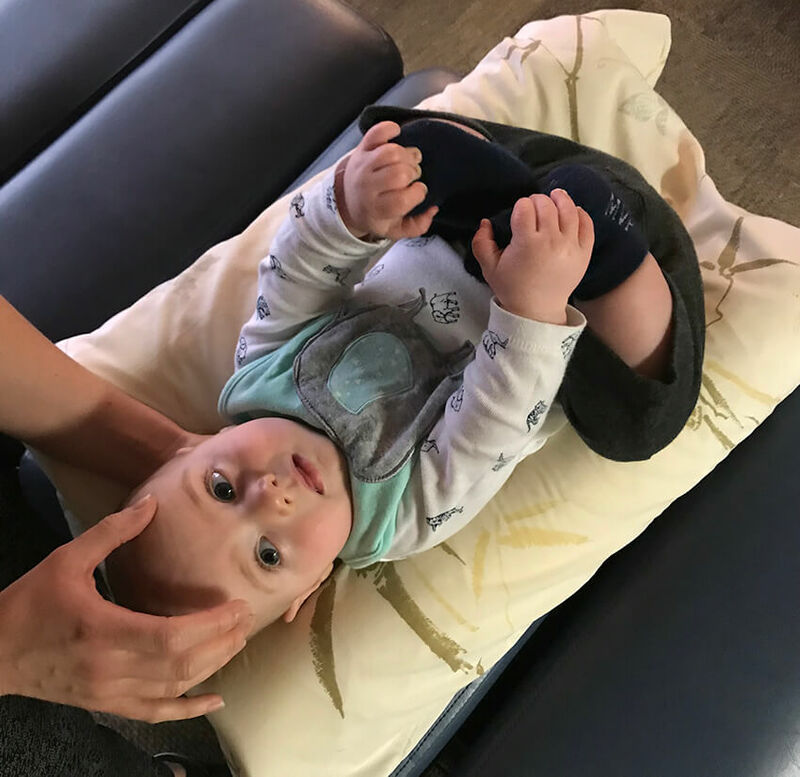 Craniosacral Therapy can help boost the baby’s immune system by relieving stress on the nervous system and allowing the immune system to function properly. During the natural birthing process, the baby’s head is molded to fit through the mother’s pelvis, which compresses the bones of the skull and causes them to overlap. While this overlap should not continue past the first few weeks of life, if it does, it can interfere with the cranial nerve function. This interference can cause colic, breathing problems, swallowing difficulties, digestive or sensory-motor impairments, and more. Additionally, the baby can sometimes be injured during the birthing process, which can cause both physical and emotional trauma. Craniosacral Therapy can help heal these injuries and address the effects of vacuum extraction, prolonged or fast labor, and forceps. I first starting seeing Dr. Karis for extreme jaw pain and lack of jaw mobility. She suggested craniosacral massage as an integral part of my treatment. I must admit, to this day it is a mystery to me as to why it is so effective, but I have had tremendous results! Over the past year, I went from having great difficulty chewing soft foods to being able to bite into a burger with no pain! Craniosacral continues to be a part of my monthly treatment and probably always will be. Thank you, Dr. Karis!